The location: authentic Amsterdam. The outlook: international. HAUT is the new icon on the Amstel. 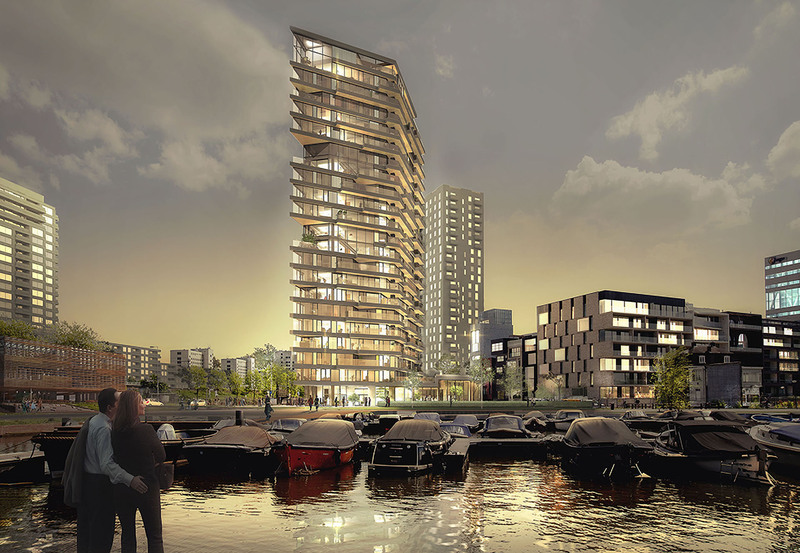 This 73 meters high building will soon be the highest wooden residential tower in The Netherlands. Unique in its architecture and exceptional in its sustainability, HAUT is also purposely small-scale, with each level containing a maximum of only three homes. HAUT combines durable design with unprecedented living comfort. The sale of apartments started Mid-2018. Various buyers chose to have their future home in HAUT. Because of HAUT’s sustainability, it’s boutique concept, location and great views. Most of the apartments have been sold. But there is still a nice diversity (large, small, high, low) of apartments available for sale. You can apply online for the apartment of your choice. HAUT consists of 50 private homes ranging from 100 to 225 square meters in size and two penthouses. Six different home types are offered, each one bright and luxurious. Regal, high ceilings and floor to ceiling windows provide phenomenal views over Amsterdam. Peace and space, right in the middle of the city. 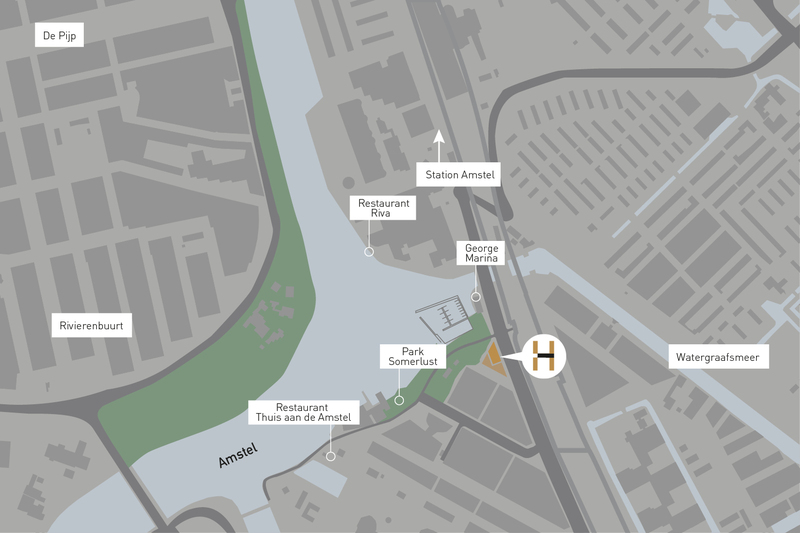 HAUT is part of the Amstel quarter, a wonderfully diverse district that spans Amsterdam-South, the Rivierenbuurt and Watergraafsmeer. HAUT lies right on the Amstel by the Somerlust park. 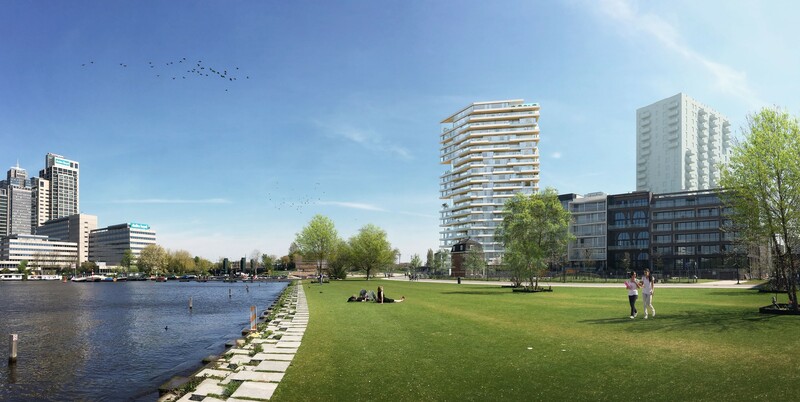 From each home, it’s easy to see everything the Amstel Quarter has to offer. Urban living perfectly combined with the tranquility of water and foliage. HAUT shows that sustainability can also be beautiful and comfortable. The ambitions of this project reach beyond the building itself, HAUT wants to have an impact. 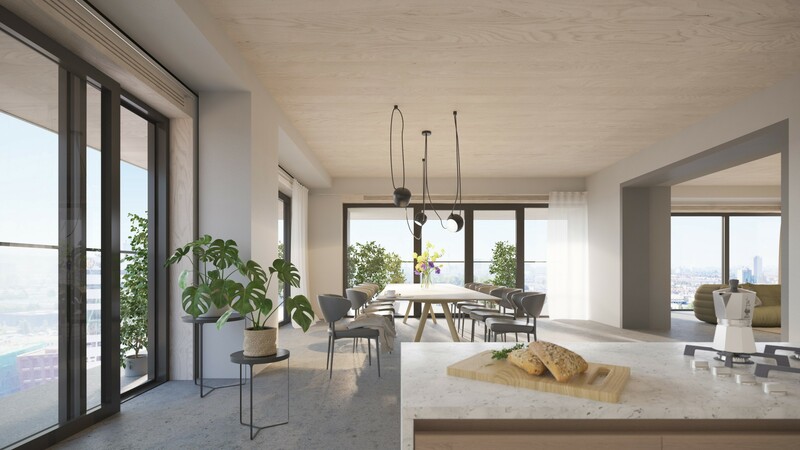 Therefore, HAUT works together with key partners to achieve its goal of ensuring the sustainability of the building, through innovation and the use of new materials. HAUT is made from wood. A centuries-old building material, yet at the same time an innovation in sustainable construction. Wood does not emit CO2, but naturally absorbs it. 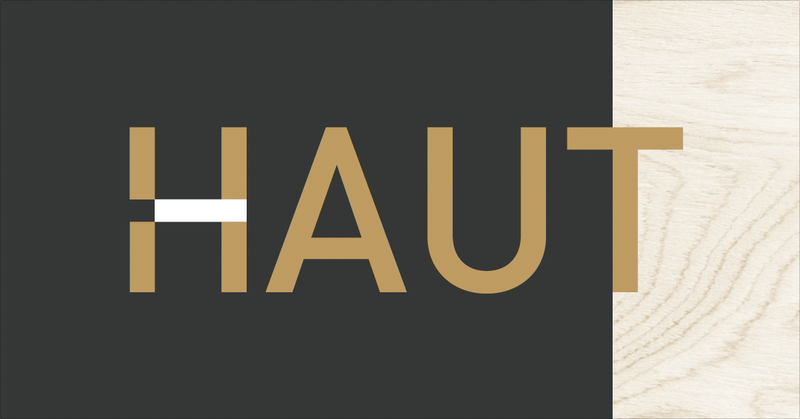 Have a look at our video about HAUT. Are you interested in HAUT? You can apply online for the apartment of your choice.